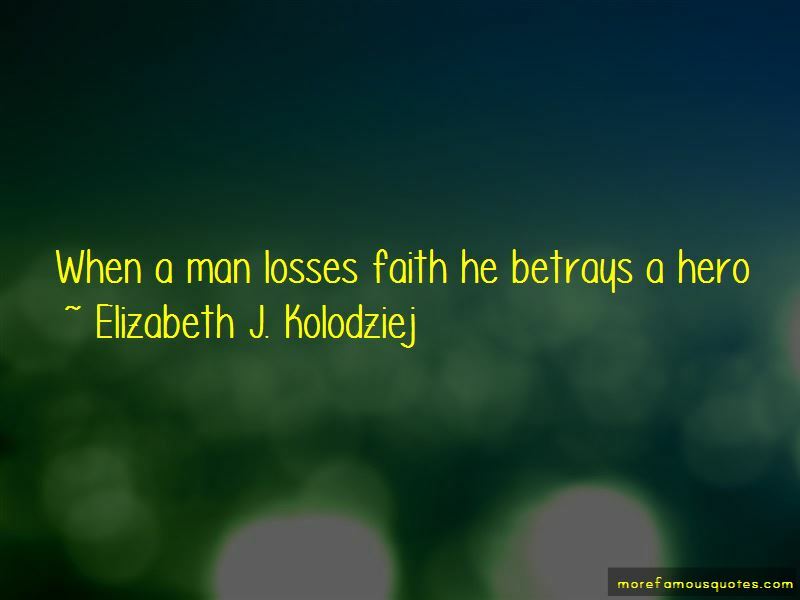 Enjoy the top 7 famous quotes, sayings and quotations by Elizabeth J. Kolodziej. “Yeah, cause that would be a smart choice. So, I should just forget about the whole lying to me thing when you pronounce you will never do it again?" The music lets me see the story but the story doesn't let me write the words. “A piercing screech from above caught my attention. However, it was the arm landing beside me with teeth marks that let me know what was going on. "Can you be a little more careful where you let body parts fall?" “An understanding washed over Darren. You plan on me running." How dare you! What is your name? I shall make it a sin to be spoken." The braveness of his chuckle and grin made me step back. "Garrett. My name is Garrett and please make my name a sin to speak. Maybe that way I won't have people like you screaming out for people like me; for people like you are so ghastly and in need of saving too many times." 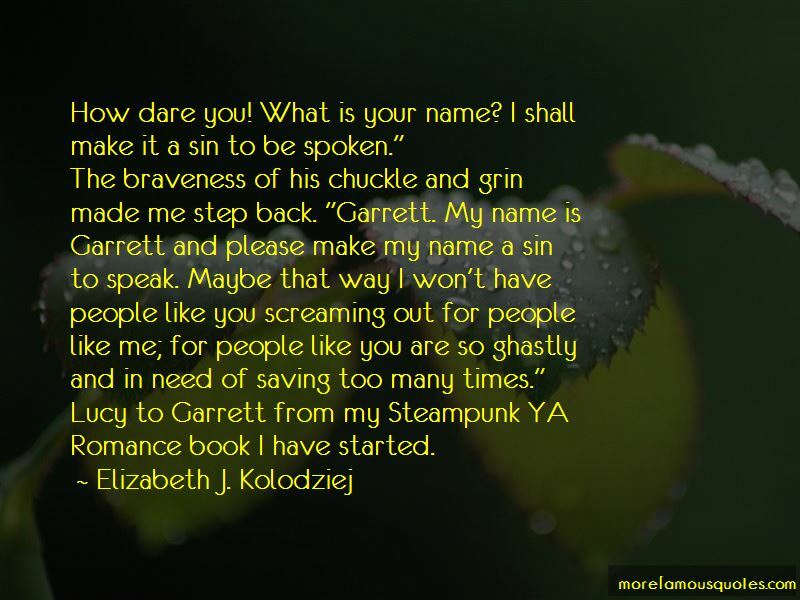 Lucy to Garrett from my Steampunk YA Romance book I have started. 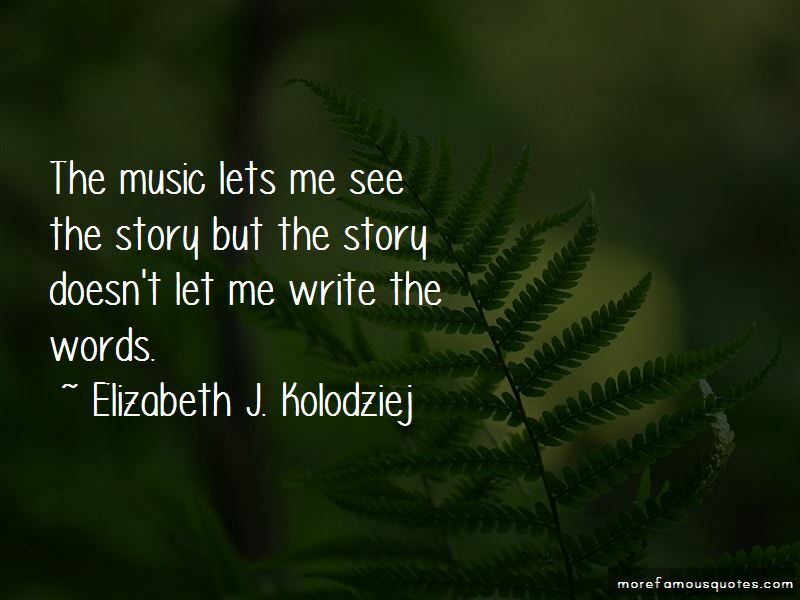 Want to see more pictures of Elizabeth J. Kolodziej quotes? Click on image of Elizabeth J. Kolodziej quotes to view full size.